Thickness survey of pressure parts by special T/R probes. 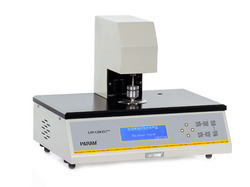 Paint Thickness measurement services from 2 to 2000 micron. We are a recognized enterprise catering requirements of quality sector by offering variety of UT thickness gauging services. 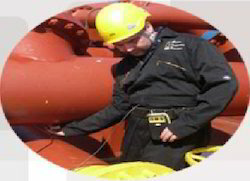 We bring forth vast industrial experience and expertise in this business and are involved in providing Ultrasonic Thickness Gauge Service. Product Description:An Ultrasonic thickness gauge is a measuring instrument for the non- destructive investigation of a material's thickness using ultrasonic waves. Backed by the skilled professionals, we are involved in providing Coating Thickness Testing Service. RISHIKESH manufacturing various types of thickness gauge to check the thickness of Rubber, Paper, Fabric, Card Board, Films etc. as per IS 3400 ( Part I ) 1977 in various range, throat and accuracy.